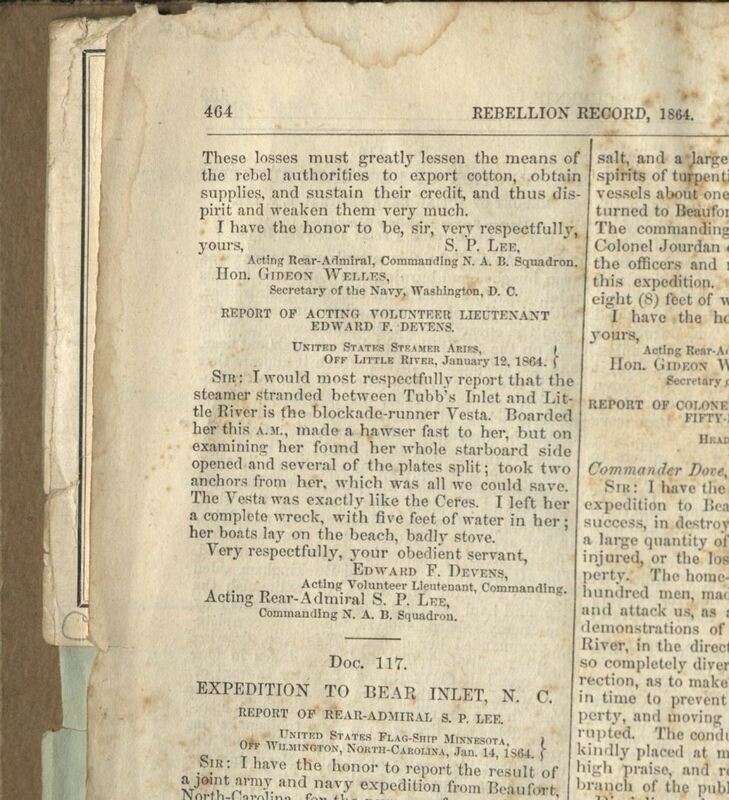 Item Description: Report by Rear Admiral Samuel Phillips Lee, United States Navy, to Gideon Welles, Secretary of the Navy, concerning the destruction of the Ranger, a blockade runner, near Lockwoods Folly Inlet, North Carolina. 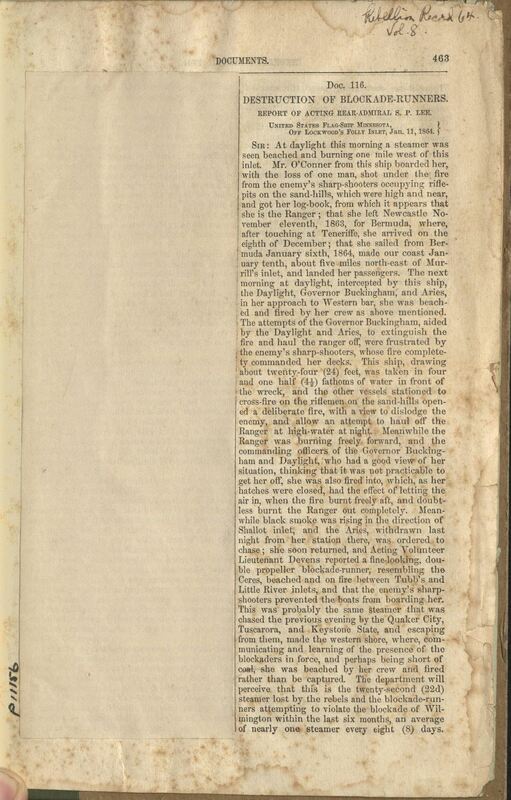 Item Citation: Destruction of blockade-runners. [New York : G. P. Putnam, 1864?]. Cp970.75 D47d. Detached from: Rebellion record, 1864. [Vol. 8 (1864); p. 463-464.] North Carolina Collection, Wilson Library, University of North Carolina at Chapel Hill. This entry was posted in North Carolina Collection and tagged blockade, blockade running, Gideon Welles, Lockwoods Folly Inlet, naval operations, North Carolina, Ranger, reports, S.P. Lee, United States Navy. Bookmark the permalink.